What is going on with Texas Foreclosures? 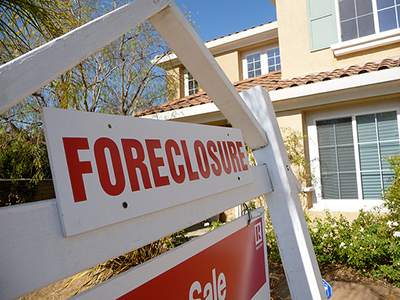 In layman’s terms, foreclosure is the act of legally terminating a mortgage. Texas Foreclosures are filed when a homeowner fails to keep up with payments on his or her mortgage. In this day and age, this is a common occurrence. The current economic situation in the U.S. has affected the ability of loan holders to maintain their schedule of payments, which directly influences the Texas real estate foreclosure rate. Real estate is often purchased through means of a loan, which is borrowed money; this borrowed money is often provided by a bank or loan company. The money is granted to the owner of the property by the financial institution. Until the loan is repaid, the financial institution has the legal power to claim ownership of the property listed on the loan documents. If payments, which include monthly installments and property taxes, aren’t made by the person(s) to whom the loan was given, the financial institution has the legal right to foreclose on the property. Although the business of real estate is unpredictable, various trends can be seen throughout the Texas housing market as it relates to foreclosure. One such trend that is quite alarming is the increase in the Texas foreclosures rate in some of the state’s largest cities. Cities such as Dallas and Austin showed a significant increase in the texas foreclosure rate in the last half of 2010. The Dallas-Fort Worth area showed a 25.36% increase in foreclosure rate from that of 2009. In Austin alone, the foreclosure rate rose 7.5% in the first quarter of 2011; meaning nearly 1 in 200 homes were foreclosed upon. The increase in the foreclosure rates in large cities, when paired with the trend seen in small cities and rural areas, gives the Texas foreclosure rate some stability. While the larger cities have shown a recent increase, rural areas have shown a significant decrease in foreclosure rate. When the statistics of both metropolitan and rural foreclosure rates are added together, the real estate market in Texas is shown to be improving, which is something that can’t be said for most states in the US. Although the current market trends show improvement in the Texas foreclosures rate, this may not last long. The real estate market is constantly changing, and, along with it, so will the Texas foreclosures rates. 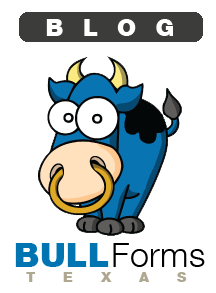 Generate your Texas Sales Contracts online with BULL Forms now.